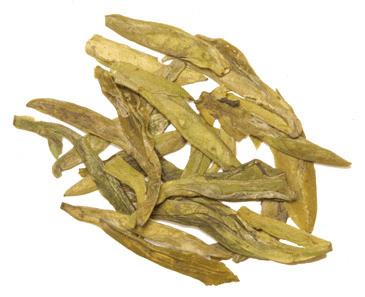 Iron Goddess is one of the most well-known oolong teas in China. Oolong tea is characterized by the semi-fermentation of the tealeaves. Iron Goddess differs from all other oolongs in that it is fermented longer and its leaves tend to be more spherical in shape. One intriguing aspect of this tea is its unique name. Such a beautiful name is the result of an old legend that explains the origin of this tea. Centuries ago there lived a poor farmer in the Fujian Province of China. He lived by a temple that was dedicated to the Iron Goddess of Mercy. The temple was in poor condition since it wasn’t kept by anyone for a long time. The farmer cleaned the temple and burned incense to honor the Goddess. Touched by the poor farmer’s devotion to her temple, the Iron Goddess appeared to him in a dream and told him to find a treasure left for him behind her temple. The farmer woke up and searched all over the temple for the treasure only to find a small tea bush. When the farmer made tea from this bush, he noticed a unique fragrance and wonderful sweet taste. Delighted, he grew this tea bush and gave some of it to his neighbors so that they can also enjoy this treasure from the Goddess. Word spread of this wonderful tea and thus the Fujian Province became famous for the origin of this tea. Many people are drawn to Iron Gooddess Oolong not for its exotic name or its legend but for its delightful taste and fragrance. 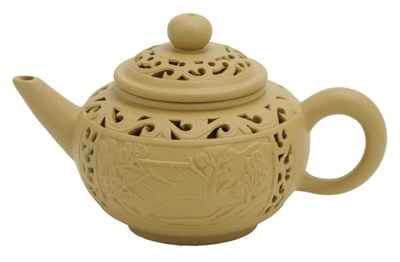 This tea brews into a golden brown liquid with a strong baked aroma. Iron Goddess is baked until toasted to bring out a sweet and fruity flavor. The caffeine level of oolong teas is greater than Green Tea but less than Black Tea. Many people find this caffeine level to be a perfect energy boost in the morning. Many articles have been published about the benefits of drinking tea. Studies show all teas contain antioxidant compounds of polyphenols that help the body fight harmful free radicals. It is believed that harmful free radical can lead to cancer and heart disease. The focus of many published articles is on green tea, most of these benefits apply to other teas, including Iron Goddess oolong. Oolong is also effective with indigestion and helps lower cholesterol.